In the wake of tragic terrorist attacks in Western Europe, so-called parallel communities have come under increased scrutiny and pressure to be engaged and integrated in the politics and society of the country of settlement. In this context, the tools of intercultural dialogue and citizenship have been proposed to bridge the ‘gap’ between majority and minority communities. Yet, how are these concepts understood on the ground? 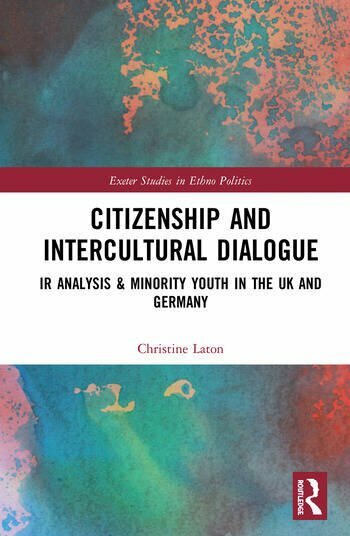 This book explores perceptions of citizenship and intercultural dialogue among minority youth in Berlin and London; chosen for their contrasting citizenship and immigration policies. Germany has a strong ethnic heritage and the presence of a large minority community from Turkey. The policies and relationship with the Turkish community have often served to perpetuate cultural and ethnic boundaries, their presence overshadowing the numerous other ethnicities living within Germany. In the UK, the large presence of immigrants of Afro-Caribbean and Asian descent often dominates centre stage in a much more territorially defined political context, while the needs and demands of smaller communities are not commonly known. Nonetheless, these smaller communities shape and even offer unique insights into the way that local contexts interact with international and transnational structures. It is argued that in both cities, minority youths communicated feelings and experiences of marginalization and contestation, generally feeling a sense of belonging to their local neighbourhoods but not to broader society. The book explores the process of ‘valuisation’, the idea that a value is put on an immigrant according to their desirability or undesirability, based on ethnicity or skills. Furthermore, it assesses the role of education as a mediator between state and society. By arguing that local engagement has international ramifications, and highlighting the importance of the role of youth in international politics, this book offers a new perspective on International Relations and Diaspora Studies. Christine Laton completed her PhD in Ethno-Political Studies at the University of Exeter, UK. Her research focuses on the positioning of minority youth and ethnic minority communities from an International Relations perspective. Her other interests relate to national education systems, the role of local organisations to engage minorities, and the reconfiguration of cultural and political boundaries in the global context.